Stephen J. Lippard is the Arthur Amos Noyes Professor Emeritus of Chemistry at the Massachusetts Institute of Technology. His research spans the fields of biological and inorganic chemistry. Lippard studies biological interactions involving metal ions, focusing on reactions and physical and structural properties of metal complexes. Such complexes can be useful as cancer drugs and as models for the active sites of metalloproteins. Metal ions also promote key biological reactions as signaling agents; metal complexes can be employed to sense biological signaling agents. 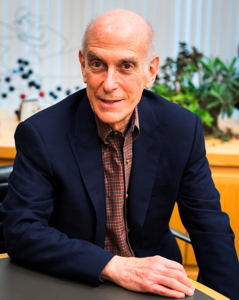 Lippard is an extramural faculty member of MIT’s David H. Koch Institute for Integrative Cancer Research and is well known for his work on the mechanism of the anti-cancer drug cisplatin, which contains platinum and is in first line therapy for many cancers. His lab is currently working on designing more effective platinum anti-tumor agents. Recently these studies have been extended to include additional third row transition elements including osmium and rhenium, complexes of which have the ability to destroy cancer stem cells thought to be responsible for tumor recurrence and metastasis. The Lippard group also determined the structure of the component proteins of methane monooxygenase (MMO), an enzyme from aerobic bacteria that converts methane (natural gas) and oxygen to liquid methanol and water in the first step of their life process. They elucidated several key steps in the activation of oxygen and methane, which takes place at a closely spaced pair of iron atoms in the enzyme. This chemistry is related to that used in bioremediation, processes by which microorganisms are employed to clean the environment. Examples include removal of trichloroethylene from drinking water and the cleanup of oil spills from the land. The structure of the hydroxylase component of MMO in complex with a small regulatory protein termed MMOB provided insight into the regulation of substrate access to the diiron active site. Oxygen and methane, but not electrons and protons, traverse a hydrophobic channel to the diiron center only when the reduced form of MMOH/MMOB is present, preventing unwanted quenching of diiron(III) peroxo and diiron(IV) oxo intermediates. After methanol and water formation, the channel is disrupted by protein side chain movements as the reductase comes in to form the reduced enzyme. Structures of the related hydroxylase enzymes from toluene/o-xylene monooxygenase and phenol hydroxylase, the latter in complex with its regulatory protein, were determined. Oxygenated intermediates in the catalytic cycles of the enzymes have been identified and studied in detail. Numerous synthetic carboxylate-bridged di- and polyiron complexes have been prepared and investigated in conjunction with this project, which has been successfully completed and is no longer a subject of active investigation. Lippard’s laboratory is actively pursuing several areas of metalloneurochemistry. One is centered on understanding the role of mobile zinc in synaptic transmission, particularly during learning, memory and sensory perception. A large family of fluorescent probes for detecting both intracellular and extracellular zinc has been prepared and applied to study the olfactory bulb, dorsal cochlear nucleus, optic nerve, and hippocampus. In these systems, vesicular zinc plays critical roles in modulating excitatory postsynaptic currents and neuronal plasticity. Work in progress includes the development of new strategies to precisely control the activity and localization of zinc sensors in acute brain slices and in live animals, as well as the preparation of highly selective zinc chelators with extremely rapid zinc binding kinetics. The ultimate goal is to understand the exact molecular mechanisms by which zinc regulates glutamatergic signaling in the brain. In related metalloneurochemistry experiments, the Lippard group developed a fluorescent sensor that detects nitric oxide, a molecule that plays critical roles in the human body ranging from the destruction of invading microorganisms to the transmission of neuronal signals. Information about these phenomena had long eluded scientists because NO often exists in minute concentrations and for only short periods of time. The sensors allow scientists to view nitric oxide in living cells. A sensor for nitroxyl, HNO, has also been devised. These tools are being applied to many of the same areas of interest described above for mobile zinc. Lippard received the 2004 National Medal of Science, the highest science honor in the United States. He was cited for “pioneering research in bioinorganic chemistry, including the interaction of metal compounds with DNA, preparation of synthetic models for metalloproteins, and structural and mechanistic studies of methane monooxygenase." In 2015 he was awarded the Benjamin Franklin Medal in Chemistry “in recognition of his pioneering research on the role of metal atoms in biology and medicine, including the study of platinum anticancer drugs and of the structure and function of an enzyme that allows microbes to live on natural gas.” He also holds the 2009 Linus Pauling Medal and the 2017 American Institute of Chemists Gold Medal and was a co-recipient of the 2016 Welch Award in Chemistry. Lippard has been elected to the National Academy of Sciences, the National Institute of Medicine, the American Academy of Arts and Sciences and, most recently (2016) The American Philosophical Society. He has received several awards from the American Chemical Society — in addition to the Priestley, he holds the ACS Award in Inorganic Chemistry (1987), the ACS Award for Distinguished Service in Inorganic Chemistry (1994), the Bader Award in Bioinorganic or Bioorganic Chemistry (2004), and the Breslow Award for Achievement in Biomimetic Chemistry (2010), as well as several local section awards including the John C. Bailar, Jr. Medal, University of Illinois (1993), William H. Nichols Medal of the New York Section (1995), Theodore W. Richards Medal, Northeastern Section of the ACS (2002), the Basolo Medal, Northwestern University and Chicago Section of the ACS (2002, and the F. A. Cotton Medal for Excellence in Chemical Research, Texas A&M section of the ACS and Department of Chemistry, Texas A&M (2016), among others. Lippard’s research has also been recognized internationally. He was elected as an honorary member of the Italian Chemical Society in 1996, The Royal Irish Academy in 2002, and to Leopoldina, the German National Academy of Sciences, in 2004. He was presented the Centenary Medal from the Royal Society of Chemistry (UK) in 2010 and the Sacconi Medal from the Italian Chemical Society in 2012. He was the inaugural co-recipient of the Christopher J. Frederickson Prize for Research in the Neurobiology of Zinc (2012). Stephen J. Lippard was born Oct. 12, 1940 in Pittsburgh, Pa., and earned his bachelor’s degree at Haverford College in 1962. After receiving his Ph.D. from MIT in 1965, he spent a year as a postdoctoral fellow at MIT. He then joined the faculty at Columbia University as an assistant professor in 1966, was promoted to associate professor in 1969 and full professor in 1972. In 1983, he returned to MIT as professor of chemistry, where he served as head of the chemistry department from 1995 to 2005. Lippard is the author of more than 900 articles in professional and scholarly journals and two textbooks, including “Principles of Bioinorganic Chemistry” with Jeremy M. Berg. He was an associate editor of the Journal of the American Chemical Society for over 20 years and holds several U.S. and foreign patents. He co-founded Blend (now Tarveda and Placon) Therapeutics, which developed a novel platinum anticancer drug that is now in a Phase I clinical trial. From 1991 to 1995, Lippard and his late wife Judy served as housemasters at MIT’s MacGregor House dormitory. During that period he taught a course on Baroque Musical Instruments and Performance. In his free time, he enjoys playing the harpsichord and is an early morning jogger along the Charles River. 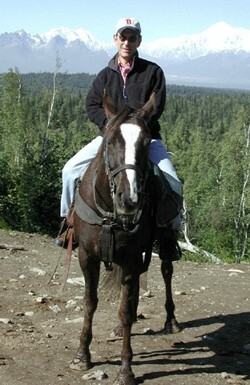 He has two sons, Josh and Alex, and twin granddaughters, Lucy and Annie. Professor Lippard trained 115 Ph.D. students and over 200 postdoctoral associates over the course of a career that spanned more than five decades. Although he no longer takes graduate students and was appointed Arthur Amos Noyes Professor Emeritus on September 1, 2017, his lab continues research on platinum and other heavy metal anticancer drugs as well as zinc metalloneurochemistry. C&EN cover story "Trailblazer and Mentor"